What has two large teeth, wrinkly skin and no hair? It’s not your Great Uncle Herbert – it’s 2013’s vertebrate of the year, the naked mole rat! Winning this title takes more than good looks, even though the researchers closest to the naked mole rat claim they are “very cute” animals. I guess their appeal must be strong since Rufus, the naked mole rat, is a regular in Disney’s Kim Possible. As if saving the world from evil (in animated form at least) wasn’t a good enough reason to win this esteemed recognition, these little critters have a few surprising traits that helped them earn the top spot for 2013. Naked mole rats are found in Eastern Africa and are the longest living rodents on record, reaching about 30 years of age. In comparison, the average life span of a mouse is less than a year in the wild and up to two years in captivity. These fascinating animals live underground in a system of tunnels and are hairless, which explains the “naked” part of their name. Another award-winning characteristic of naked mole rats is their resistance to cancer, which could lead to new cancer treatments for humans with more study. These animals pose serious threats to peoples’ health and safety. They can cause property damage, spread disease, and even bite people. The rodents that we encounter have a highly developed sense of smell to compensate for their lack of visual acuity. Turning their strength into a weakness, Fresh Cab® rodent repellent uses a scent that overwhelms their furry little noses and sends them running the other way. 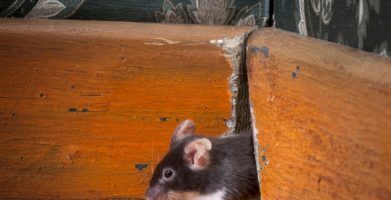 Repelling rodents is the best way to get rid of rats and mice, and has been proven effective in multiple scientific studies. Fresh Cab Natural Rodent Repellent is the only EPA registered product of its kind. Earning an EPA registration required repeated testing to prove the efficacy of the repellent and results showed higher effectiveness than rodent poisons (95% vs. 50-60%). These pouches are also the easiest way to get rid of rats and mice because all you have to do is place them in the areas you wish to protect. That’s it, you’re done. Just because some rat is named Vertebrate of the Year doesn’t mean you have to start loving rats. And just because you don’t want to live alongside rodents doesn’t mean you have to wage war against them or kill them. Using a rodent repellent is sort of like having your cake and eating it too! It's not your Great Uncle Herbert - it's 2013's vertebrate of the year, the naked mole rat! Winning this title takes more than good looks, even though the researchers closest to the naked mole rat claim they are "very cute" animals. 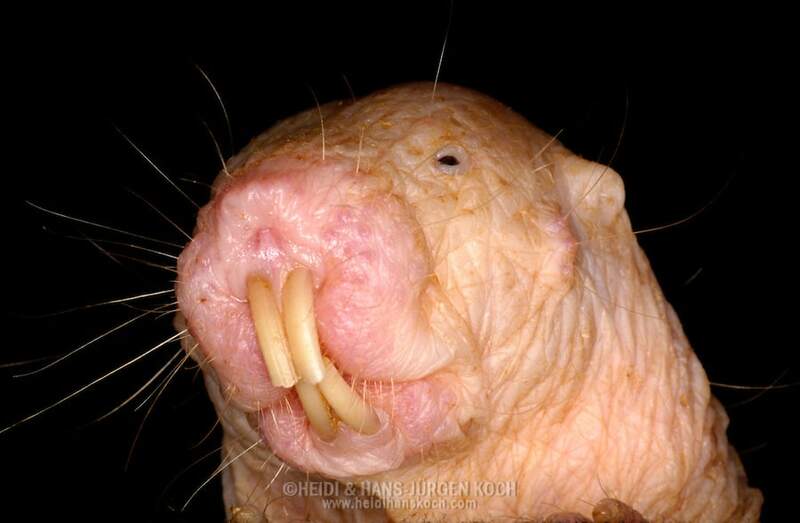 I guess their appeal must be strong since Rufus, the naked mole rat, is a regular in Disney's Kim Possible. As if saving the world from evil (in animated form at least) wasn't a good enough reason to win this esteemed recognition, these little critters have a few surprising traits that helped them earn the top spot for 2013. Naked mole rats are found in Eastern Africa and are the longest living rodents on record, reaching about 30 years of age. In comparison, the average life span of a mouse is less than a year in the wild and up to two years in captivity. These fascinating animals live underground in a system of tunnels and are hairless, which explains the "naked" part of their name. Another award-winning characteristic of naked mole rats is their resistance to cancer, which could lead to new cancer treatments for humans with more study. These animals pose serious threats to peoples' health and safety. They can cause property damage, spread disease, and even bite people. 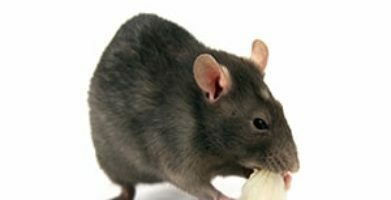 The rodents that we encounter have a highly developed sense of smell to compensate for their lack of visual acuity. Turning their strength into a weakness, Fresh Cab® rodent repellent uses a scent that overwhelms their furry little noses and sends them running the other way. Repelling rodents is the best way to get rid of rats and mice, and has been proven effective in multiple scientific studies. Fresh Cab Natural Rodent Repellent is the only EPA registered product of its kind. Earning an EPA registration required repeated testing to prove the efficacy of the repellent and results showed higher effectiveness than rodent poisons (95% vs. 50-60%). These pouches are also the easiest way to get rid of rats and mice because all you have to do is place them in the areas you wish to protect. That's it, you're done. Just because some rat is named Vertebrate of the Year doesn't mean you have to start loving rats. And just because you don't want to live alongside rodents doesn't mean you have to wage war against them or kill them. Using a rodent repellent is sort of like having your cake and eating it too! string(42) "Naked Mole Rat Wins Vertebrate of the Year"